This family-friendly Cetona farm stay is located in a rural location, 0.1 mi (0.1 km) from Val di Chiana, and within 9 mi (15 km) of Labyrinth of Porsenna and Terme di Chianciano. Piscine Termali Theia and Chianciano Art Museum are also within 12 mi (20 km). 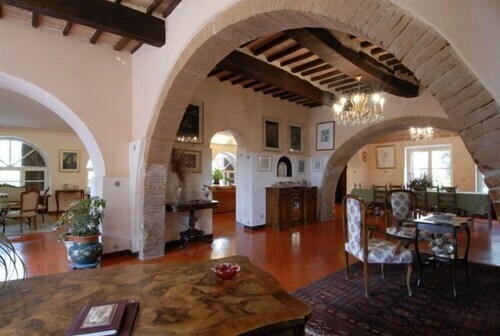 Situated in a rural location, this villa is 0.1 mi (0.1 km) from Val di Chiana and within 6 mi (10 km) of Archaeological Museum of Sarteano and Sarteano Castle. Chiusi Cathedral and Chiusi National Etruscan Museum are also within 6 mi (10 km). Situated in Cetona, this farm stay is 0.1 mi (0.1 km) from Val di Chiana and within 9 mi (15 km) of Santa Maria dei Bianchi Oratory and Archaeological Museum of Sarteano. Sarteano Castle and Chiusi Cathedral are also within 12 mi (20 km). Situated in Cetona, this vacation home is 0.1 mi (0.1 km) from Val di Chiana and within 6 mi (10 km) of Archaeological Museum of Sarteano and Sarteano Castle. Chiusi Cathedral and Chiusi National Etruscan Museum are also within 9 mi (15 km). How Much is a Hotel Room in Cetona? Hotels in Cetona start at $112 per night. Prices and availability subject to change. Additional terms may apply. When you are looking for the best hotels and apartments in Cetona, you are spoilt for choice. If you are after accommodation within a 6-mile (10-kilometer) distance of downtown Cetona, our up-to-date database features an impressive 34 apartments and hotels that match that criteria. Come across Caio Alto and Agriturismo Il Caio within a quick stroll of downtown Cetona. 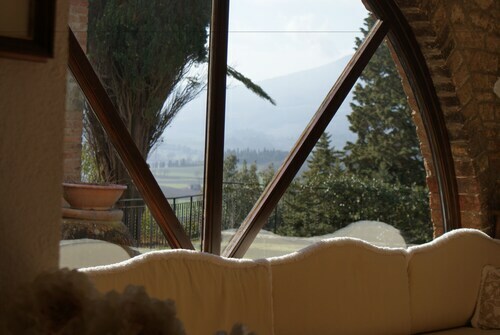 One of the relatively small number of Travelocity-listed no-frills hotel options in Cetona is the Arco Naturale Country House. The Fonteverde is situated 6 miles (9 kilometers) from the central part of Cetona. Also, the Hotelito Lupaia can be found approximately 14 miles (23 kilometers) away. Some other possible Travelocity-listed accommodation options are the Country House Montali and the Il Tosco. After you've put in the time exploring Cetona, why don't you tour a little bit further afield? The Tuscany region is home to countless places to see. Tuscany is well known for rural landscapes, beaches, coastal plains and rivers, and interesting visitor attractions are ruins and castles. In this fascinating part of Italy adventurous travelers might take up the chance to partake in snowboarding. Spend some time enjoying Archeological and Collegiate Church Museum and Torre Rognosa, which can be found in Val d'Elsa, 50 miles (83 kilometers) to the northwest of Cetona. Should you wish to spend any time in Val d'Elsa, be sure to check out the Tenuta Di Mensanello and Torraccia di Chiusi. 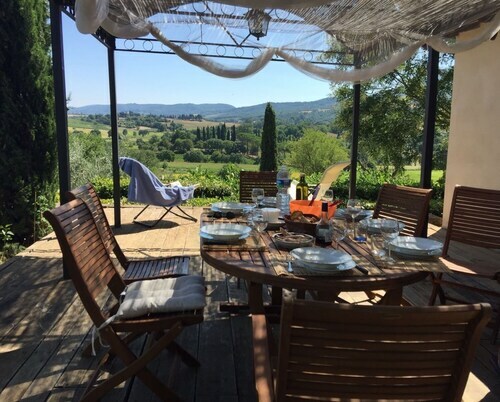 Alternatively, you could stay in Val d'Orcia, 16 miles (26 kilometers) to the west of Cetona, where you have the options of the Adler Thermae Spa & Wellness Resort and Hotel Osteria Dell Orcia. The Collegiate Church of San Quirico and Palazzo Chigi are a couple of the most frequented points of interest to visit while in Val d'Orcia. When enjoying sport if on your list of things to do, take the time to visit Stadio Artemio Franchi - Montepaschi Arena, which is located 40 miles (63 kilometers) to the northwest of Cetona. Anybody wishing to find a hotel in the area surrounding the game can compare between the Residenza d'Epoca Relais Campo Regio or the Palazzo Coli Bizzarrini. Situated 70 miles (111 kilometers) away from Cetona is Peretola Airport. Base yourself in the area at The St. Regis Florence or The Westin Excelsior, Florence. The Arco Naturale Country House seemed worlds away from the hustle and bustle of Rome. Very laid back, Beautiful location, Great facility with friendly staff provided a relaxing Tuscany experience. Arco Naturale was an easy drive to Siena up A1 or a country drive through the Tuscany hills. Exceptional retreat before heading to Florence. Podere Madonna DI Mezzo 6 Sleeps, Villa With Private Pool at Exclusive Use! IL Poderuccio 17 Sleeps, Villa With Private Pool at Exclusive Use! Casale Dello Zoppo 8+2 Sleeps, Villa With Private Pool at Exclusive Use! 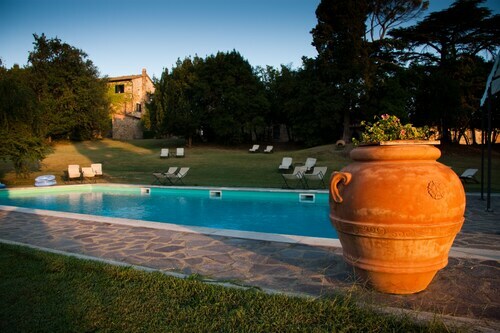 Poggio DEL Vento 8 Sleeps, Villa With Private Pool at Exclusive Use! Piandisette 10+1 Sleeps, Villa With Private Pool at Exclusive Use! IL Vecchio Ulivo 10 Sleeps, Villa With Private Pool at Exclusive Use! Santo Stefano 10 Sleeps, Villa With Private Pool at Exclusive Use!